Exercise Sea Dragon is underway in Guam where Royal Australian Air Force units have linked up with their US counterparts in the annual, multilateral operation. The exercise is based out of Andersen Air Force Base and runs for 11 days, with a focus on "building anti-submarine warfare (ASW) proficiency and increase warfighting lethality". “Being a multi-national exercise, our goal is to work closely with our Pacific allies and to continue to foster relationships in the region,” said Lieutenant Commander Korhan Orgun, Patrol Squadron (VP) 47’s 2019 Exercise Sea Dragon Officer in Charge. 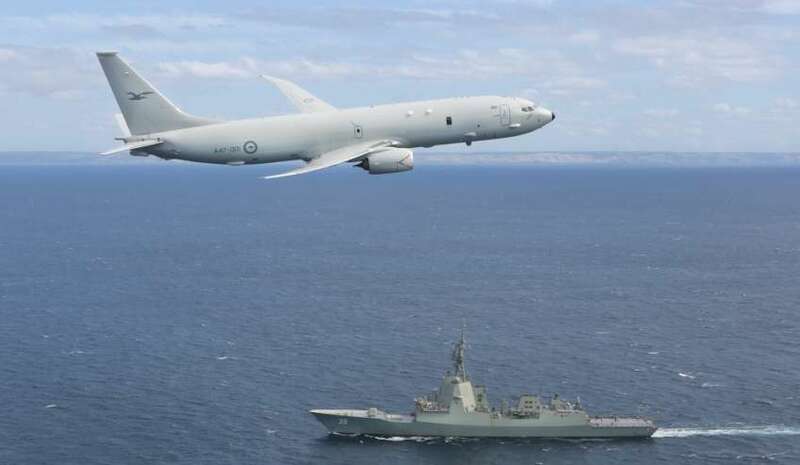 A RAAF P-8A Poseidon will conduct flight operations alongside four US units, with support provided from a joint Mobile Tactical Operations centre. One RAAF aircrew has been provided to work with the aircraft. “I have worked very closely with the RAAF P-8s before and even recently during the Rim of the Pacific Exercise,” said LCDR Orgun. US units participating in the exercise include VP-47, VP-16 and Commander, Submarine Squadron (CSS) 15, operating under CTF-74. CTF-72 has taken lead and will oversee the exercise. Exercise Sea Dragon will see co-ordinated ASW actions against simulated and live targets, which includes a Los Angeles Class attack submarine. “By also working with one of our submarines, it provides training for them and helps us prepare for any future engagements,” said LCDR Orgun.